The Lackawanna Heritage Valley National and State Heritage Area (LHV) receives funding from a variety of federal, state, and local partners. 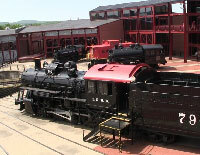 LHV has also received funding and/or programmatic support from Lackawanna County, the Lackawanna County Arts and Culture Department, Peoples' Security Bank and Trust Co., Community Bank, N.A., the Delaware Lackawanna Railroad, the Pennsylvania Northeast Regional Railroad Authority, Propst Transportation, communities along the Lackawanna River Heritage Trail, and private corporations and individuals. The Conservancy is dedicated to conserving lands and waters in and around the Tunkhannock Creek Watershed for the public benefit now and for the future. The Trolley trail is an important amenity in the Abingtons. 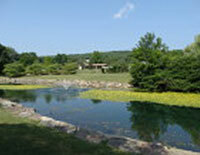 The Center is dedicated to providing public education in water-related issues and fostering public involvement in watershed activities. LCCD serves the public as a clearinghouse for information, erosion and sedimentation control, watershed conservation, environmental education and public outreach. Many links and valuable information on this site. The LRCA is a nonprofit, nonpolitical organization promoting the Lackawanna River through education, public involvement, consensus building, partnerships and hands on opportunities for young and old. 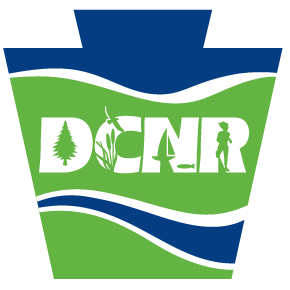 Look for links to the North Pocono Watershed Coalition, the Lackawanna Valley Conservancy, and other environmental agencies and groups. 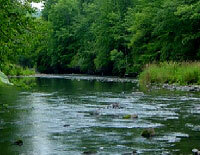 Site has a wealth of important information about environmental, park, and conservation issues. 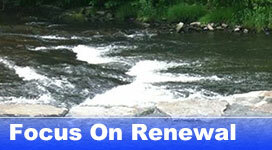 An update on environmental issues in Pennsylvania with a free newsletter and search engine. The Rail-Trail Council of Northeastern Pennsylvania began in 1991 to purchase local abandoned railbeds and convert them into usable multi-purpose trails. Site has many good links. 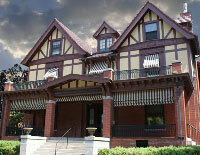 There are a number of resources that provide useful information to owners and stewards of historic properties. Please note that the listing of these web sites is for informational use only, and does not constitute endorsement. This State Commission reviews nominations to the National Register of Historic Places, conducts initial reviews of applications for the federal investment tax credit for the restoration and rehabilitation of historic properties, and provides information and technical assistance. 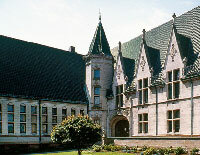 Its Pennsylvania History and Museum Program and Keystone Historic Preservation Grants are available to eligible organizations. The Heritage Areas Toolbox provides links to preservation, conservation, education, community engagement and tourism tools and resources. 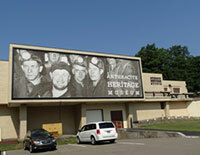 Visit the Heritage Development Institute website for classes on the Basics of Heritage Areas. The Pennsylvania Historical and Museum Commission has entered its complete inventory of National Register and National Historic Landmark properties in the Commonwealth on a new website called ARCH. 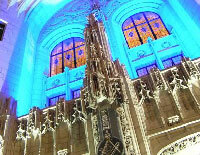 It includes more than 3,000 National Register nominations. 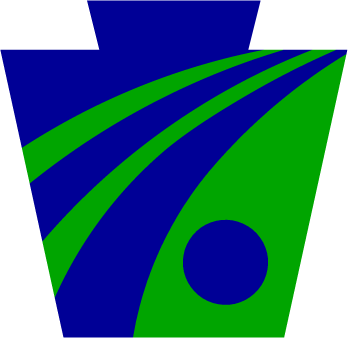 The field office of the private, non-profit organization chartered by Congress in 1949 serves Pennsylvania, Delaware, and New Jersey. 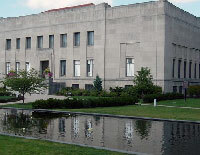 The Trust encourages public participation in preservation, provides limited financial assistance through grant and loan programs, and publishes widely. This statewide membership organization assists Pennsylvania communities and groups to protect and utilize the historic resources they want to preserve. 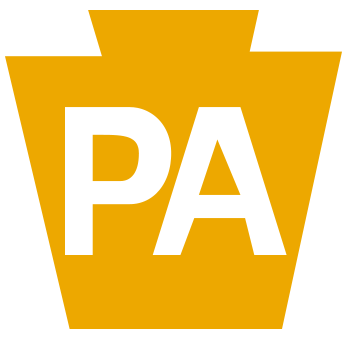 It also monitors state legislative activity, publishes a newsletter, and administers a grant program for Philadelphia preservation projects. Pennsylvania features twelve unique heritage areas, each highlighting Pennsylvania’s rich history and vital role in the nation’s development. It’s the perfect opportunity to get introduced to the people, places and traditions of our great state. 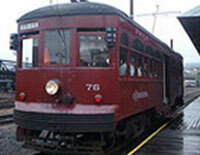 So stop by for a journey that’s a whole lot of fun for travelers of all ages. Our mission is to honor our past, while building our future. We’re glad to see you want to be a part of it. 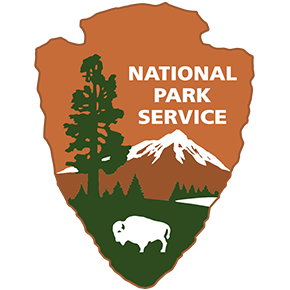 To create and enhance strategic links among the congressionally designated National Heritage Areas, emerging heritage areas, and private non-profit, and governmental organizations associated with heritage development. 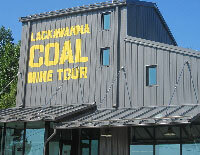 The Lackawanna Heritage Valley National and State Heritage Area (LHV) is located in Northeastern Pennsylvania. Based in Scranton, the heritage area encompasses the watershed of the Lackawanna River in Lackawanna, Susquehanna, Wayne, and Luzerne counties. Our overall focus is on renewal of the environment, renewal of a strong and diverse economic base, renewal of pride and a sense of place. 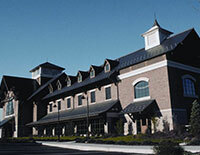 The mission of the Lackawanna Heritage Valley is to facilitate community action in the preservation, promotion and development of the region’s history, cultural heritage, and natural resources. • Tell the story of the Lackawanna Heritage Valley. 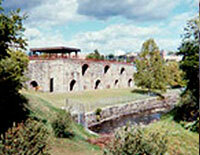 • Preserve and enhance the physical character and economic vitality of the communities in the Lackawanna Valley. • Improve the visitor experience. • Reconnect people and communities to the Lackawanna River.